For years, porcelain veneers have been one of the most popular cosmetic treatments available today because they’re able to correct a wide variety of smile issues (such as stains, chips, cracks, and gaps) all at once with just two easy appointments. 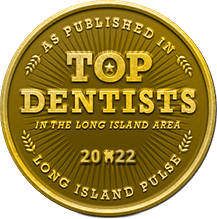 Of course, if you want to get them, you have to visit a Long Island dentist. How can you make sure you’re choosing the right one? The appearance of your smile is extremely important, so you want to make sure your dentist is capable of crafting your veneers so that your teeth not only look beautiful, but natural as well. Fortunately, there are only a few basic things you need to look for that will make this decision nice and easy. This is the best place to start because, obviously, this will be the person actually giving you porcelain veneers, so you’ll likely want to know something about them! In their bio, you’ll get to see where they went to school, how long they have been practicing, as well as if they regularly engage in continuing education. A key thing to look for is if they have received any specific training in cosmetic dentistry and are part of professional organizations dedicated to the field, such as the American Academy of Cosmetic Dentistry and the American Society of Dental Aesthetics. This will show that they not only have experience with porcelain veneers, but that they are continually working to improve and refine their craft. This will reveal not only what kind of service you can expect, but also whether or not the dentist will work diligently to make sure you get the exact results you want using the least amount of dental work. As the old adage goes, a picture is worth a thousand words. Look to see if a dentist has pictures on their site of patients they have given porcelain veneers. How do the results look? Are they natural and well-balanced or fake-looking and generic? Many dentists are able to provide porcelain veneers, but it takes a true artist to personalize each smile so that it truly fits a patient. A quick look through their Smile Gallery will let you know what kind of work they can really do. Your smile is usually the very first thing people notice about you, so if you’re interested in enhancing its appearance with porcelain veneers, you definitely want to choose a dentist you can trust to do it with an experienced touch that will give you a set of teeth you’re always proud to show off. By just looking at these 3 things, you should be able to quickly find the right dentist for you. After that, it’s just a matter of time before you see your perfect smile in the mirror. 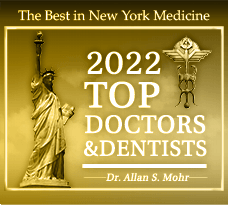 Dr. Allan Mohr is a general, restorative, and cosmetic dentist based near Long Island, NY. 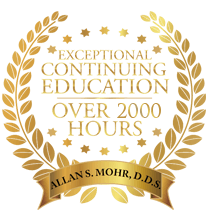 As a member of the American Academy of Cosmetic Dentistry and American Society of Dental Aesthetics, he has studied cosmetic dentistry extensively and made porcelain veneers into his own art form. 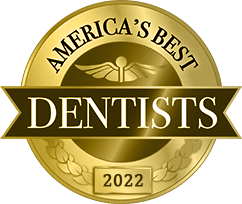 He has used them to literally help thousands of patients achieve their dream smiles over the course of his 30+ year career, and if you’d like him to do the same for you, he can be contacted through his website.